This course will prepare you for the Oracle Primavera P6 EPPM 8 Certification exam. It provide sample questions, exam tips, instructions on how to register for the exam and study guide material to help you best prepare for the 84-question exam. 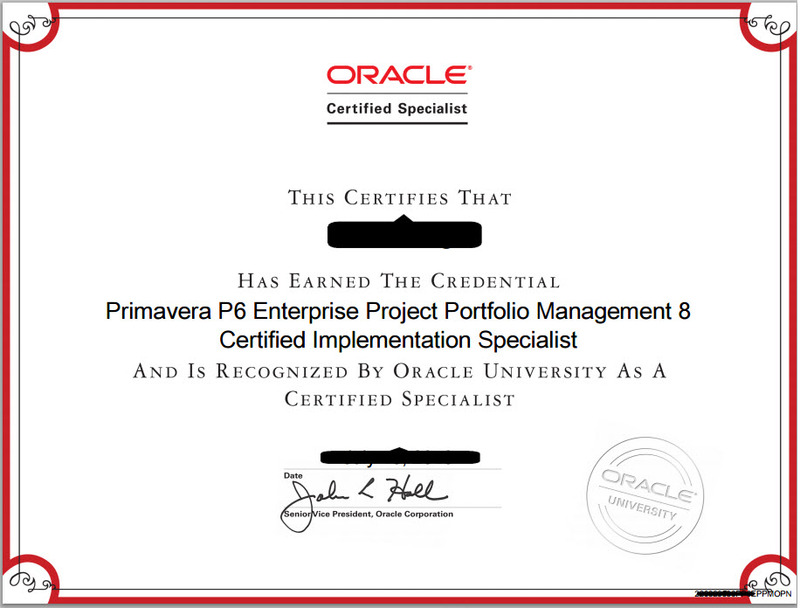 Successfully completing the requirements of this certification track earns the designation of Primavera P6 Enterprise Project Portfolio Management 8 Certified Implementation Specialist. This certification differentiates OPN members in the marketplace by providing a competitive edge through proven expertise. The Primavera P6 Enterprise Project Portfolio Management 8 Essentials (1Z0-567) exam is designed for individuals who possess a strong foundation and expertise implementing Project Portfolio Management solutions. This certification exam covers topics on core elements such as: Enterprise Data Structures, Administrative Functions, Portfolio and Project Configuration, in the context of typical use case implementations. Up-to-date training and field experience are recommended. This OPN Certified Implementation Specialist exam is now available in English, Brazilian Portuguese and Simplified Chinese!